If not for Rokeby, I wouldn't have the chance to get acquainted with this serene neighbourhood of Jalan Riang. 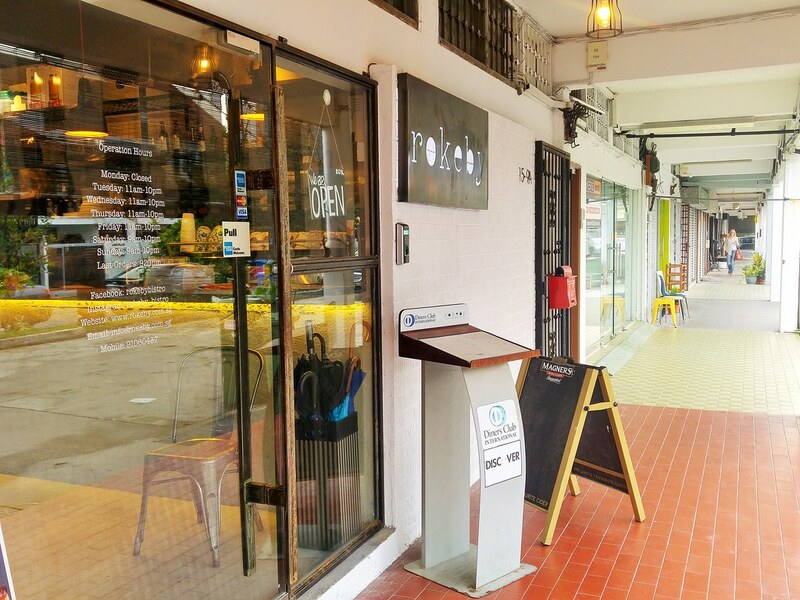 The row of shophouses where it is located is pretty tucked away from the main traffic, however it is not difficult to spot this 4-year old bistro, when it has written its name right on the facade. I love their steel and glass wall, which works well with the cracked concrete interiors to create that rustic look. As an Australian-inspired bistro, they offer hearty items such as Beef Ribs, Ox Cheeks Pasta, Ribeye Steak etc, which are wholesome enough for dinner. To ease our hunger while waiting for our mains, we had Luncheon Nacho Cheese ($8.90) and Poached Egg Salad ($8.90). 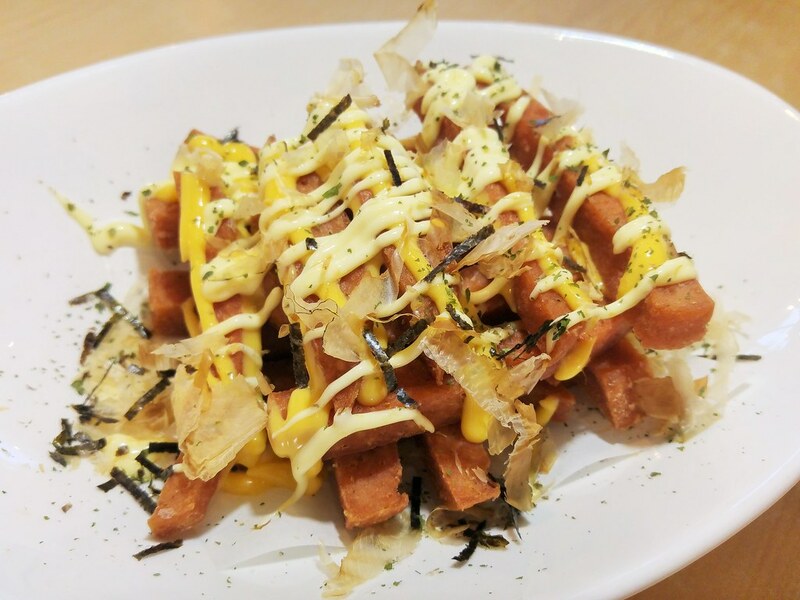 Strips of luncheon meat drizzled with nacho cheese and mayonnaise, this might get you wanting to reach out for some beer. However, I feel it might work better if the meat was stripped thinner for a crisper texture like fries, and a much bigger dollop of cheese than just a drizzle. After all, that's how we have our nachos with cheese right? 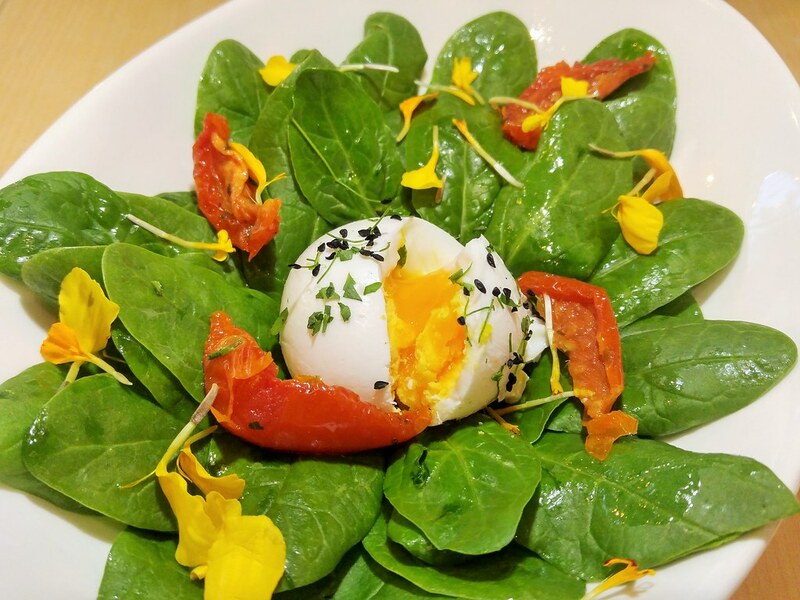 Perhaps I had my salad dressing at the side, my salad looked abit sad with just the baby spinach, sundried tomato strips and a poached egg. And the egg didn't even ooze. Our mains arrived shortly after we cleared our appertiser. 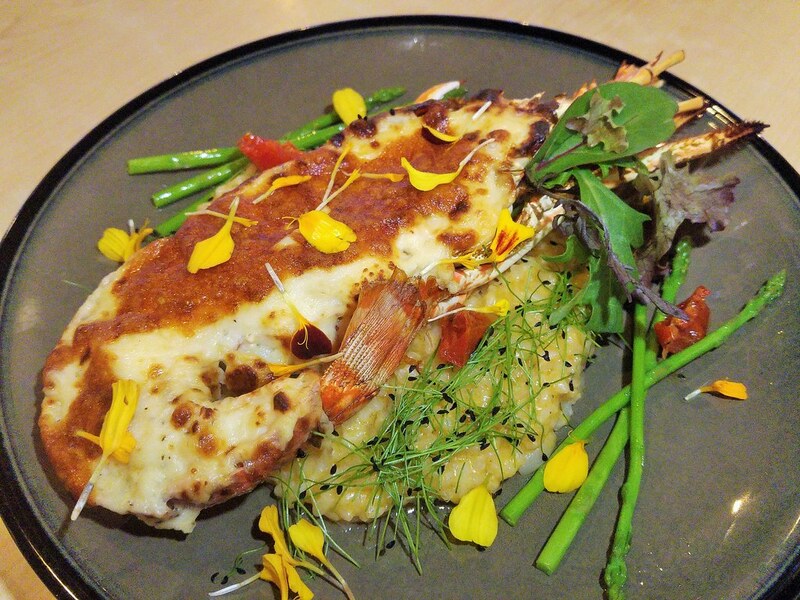 The Lobster Risotto ($34.90), for half a lobster, this is certainly not cheap. Despite this being a fairly new item, I was quite surprised to see a few orders on the tables. Very luxurious looking indeed, and the smell of the burnt cheese and mornay sauce were enough to set us salivating. Perhaps it was being overcooked, the meat tend to stick onto the shell. It was still firm and bouncy but I would have enjoyed it more if the meat wasn't so coated with the creamy sauce. I'm not too sure if risotto, which is just as creamy, is an ideal pairing. 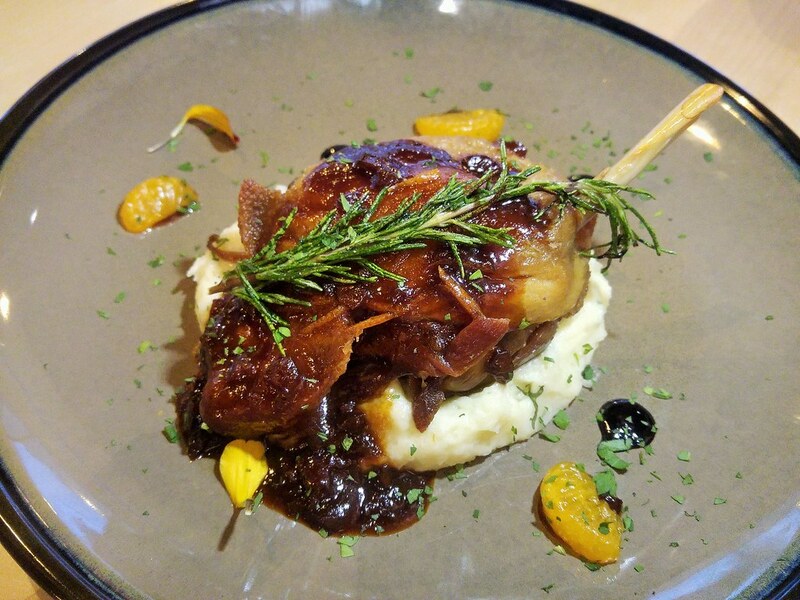 The Duck Confit ($23.90) fares similarly to that. It had a crispy exterior which was quite enjoyable but some parts of the meat was slightly tough. The tart raspberry sauce, along with a couple of tangerines, cut the richness of the meat. For some reasons, the pineapple salsa was somehow missing in action. For desserts, we had their latest creation - Mud Slide ($10) which has currently surpassed the popularity of their Ghirardelli Molten Lava with Ice Cream ($9). 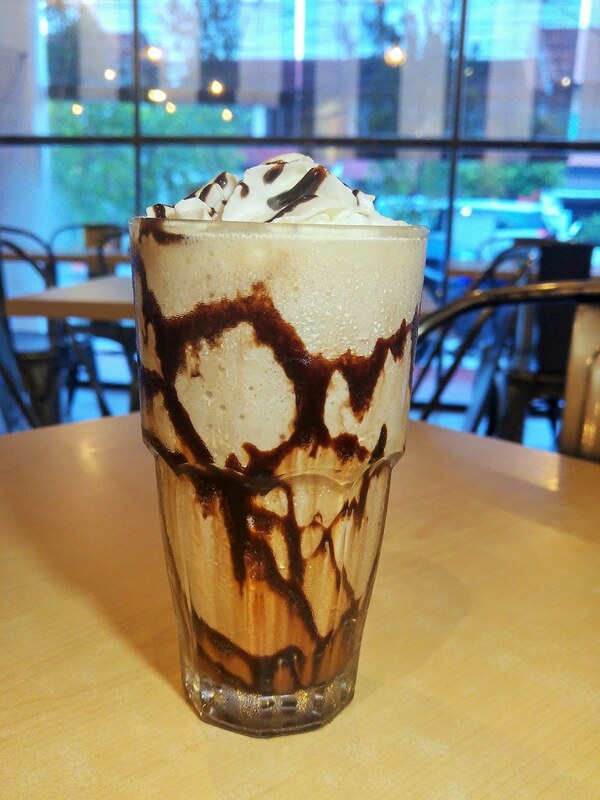 Indeed, for climate like ours, this adult milkshake does its job in giving us the ice cold sensation, the satisfying creamy mouthfeel of a milkshake and the bitter-sweetness of a rum. Molten Lava didn't pale in comparison. 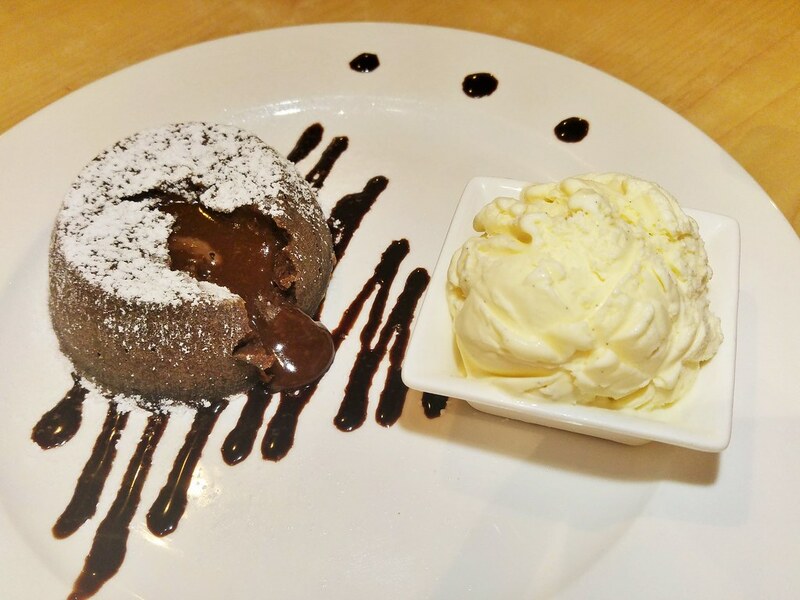 With a light tap on the tip, it erupted with warm dark chocolate lava. I appreciate the dense New Zealand vanilla ice cream which matched well with the consistency of the thick chocolate lava. 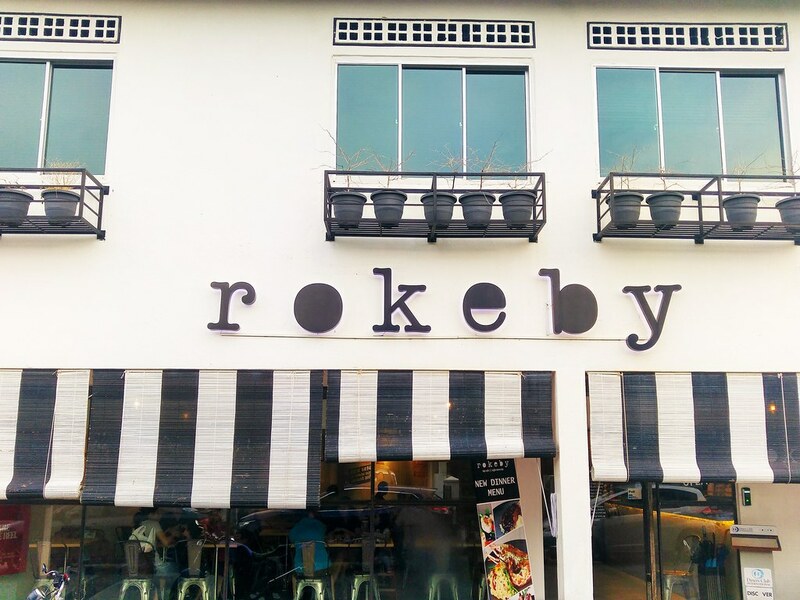 Rokeby is popular for their brunch items which you might want to consider when you just want to escape the hustle and bustle of the city, especially on a lazy weekend. Written and photograph by Si An. A girl who is allured by travelling, loves the feel of freedom, smell of the rain and the aroma of fine coffee and food. 1) Alight at Lorong Chuan MRT station. Take Exit A. Walk to bus stop at Lorong Chuan MRT station (Stop ID 66391). Alight 1 stop later. Walk down Serangoon Ave 3 and cross the road onto Jalan Girang. Walk along Jalan Girang, take left of Jalan Girang at the intersection. Continue on Jalan Girang and turn right onto Jalan Riang. Journey time about 15 minutes. 2) Alight at Serangoon MRT station. Take Exit A. Walk to bus stop at Serangoon MRT station (Stop ID 62139). Take bus number 107, 147, 153 or 853. Alight 1 stop later. Cross Upper Serangoon Road onto Wolskel Road. Walk along Wolskel Road and turn right onto Jalan Riang. Walk to destination. Journey time about 15 minutes. 3) Alight at Serangoon MRT station. Take Exit G. Walk to bus interchange (Stop ID 66009). Take bus number 105. Alight 2 stops later. Track back and turn right onto Jalan Girang. Walk along Jalan Girang, take left of Jalan Girang at the intersection. Continue on Jalan Girang and turn right onto Jalan Riang. Journey time about 18 minutes.